Al Sharpton on report calling him FBI informant: "I am not a rat"
The Rev. Al Sharpton on Tuesday addressed his long-known role in assisting a joint FBI-NYPD investigation in the 1980s, CBS New York reported. At a news conference, Sharpton said he was threatened by "music industry goons" years ago and went to the government for protection. "They were threatening to kill me," Sharpton said. "I did the right thing and would do it again." As WCBS 880′s Paul Murnane reported, Sharpton's paying a price with what he says is an old chapter in his life story being replayed across the front pages, with tabloid headlines including "Rev. Rat." "I was not and am not a rat, because I wasn't with the rats. I'm a cat. I chased rats," Sharpton said Tuesday. The Smoking Gun website said Monday that it obtained hundreds of pages of secret court filings and FBI memos providing new details about Sharpton's relationship with the feds. The report shows Sharpton's work as "Confidential Informat #7″ helped develop cases on the Genovese crime family, including Vincent "The Chin" Giganti, the so-called "Odd Father," known for walking around in a bathrobe and pajamas, CBS 2′s Marcia Kramer reported. When asked if he wore a wire to record the conversations, Sharpton replied, "The conversations were recorded." Sharpton said he cooperated with the FBI, but didn't consider himself an informant. He said his only embarrassment about the report is that the website posted photos of him when he weighed more. "Because a lot of my younger members didn't know how fat I was," Sharpton said. On Monday, he told WCBS 880′s Rich Lamb that the story exaggerates his role and that he only asked the FBI to investigate the crime family after receiving threats. The FBI "came in 1982, '83, after Don King tried to entrap me in a drug deal that didn't work," Sharpton said. "Then seven months later, when I was threatened by members of the mob because I was saying that a lot of concerts should be going to black artists, and I went after them. I was threatened. I called these FBI guys back, since some of the guys were from California, and told them these are the kind of things they ought to be investigating." He said of The Smoking Gun: "They know that President Obama is speaking at my convention this week and (U.S. Attorney General) Eric Holder is speaking, and they're just trying to get some attention, because at the end of the day, I'm not accused of committing a crime. So are you saying it's scandalous for me to help the good guys? It's crazy." Sharpton said he's used to the attacks and the distortions, Murnane reported. His lawyers are now reviewing the documents posted on The Smoking Gun. 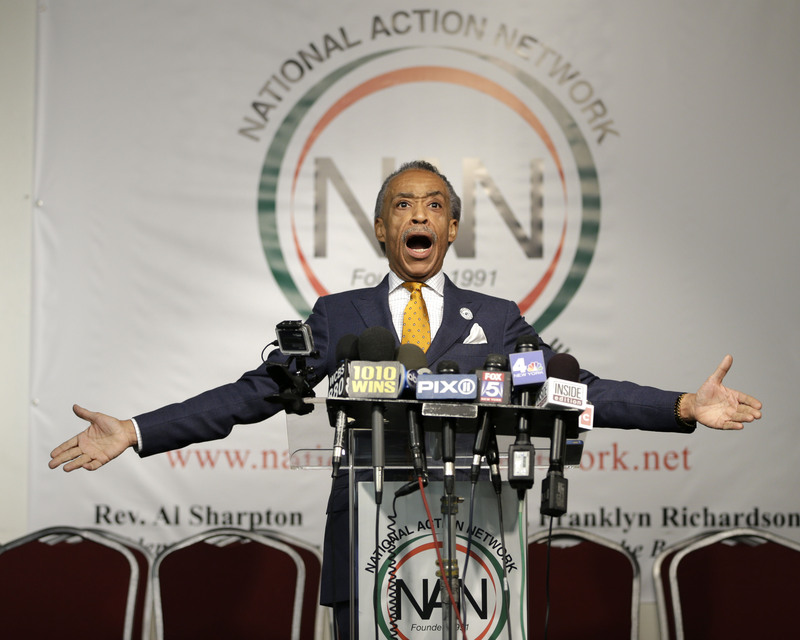 The revelations threaten to embarrass Sharpton ahead of his national convention. While the civil rights activist said he initiated the government cooperation, others have said he was pressured to cooperate after being ensnared in a drug sting, Kramer reported. A video of the sting, which aired on HBO in 2002, appears to show Sharpton nod when an agent offers him a cut from future drug sales.